As an entrepreneurial research university, TUSUR is one of the leaders of Russian education in innovation development. The very notion of an entrepreneurial university is closely connected with the concept of innovation-driven development proposed by Henry Etzkowitz and Loet Leydesdorff – the Triple Helix concept of mutually balanced ties among universities, government and business, where universities play a leading role. The university mission is expanded to include creation of entrepreneurial environment, incubation and incorporation of cutting-edge high-tech companies. UNIQ, a network of spin-out companies of TUSUR University, is a prime example of such environment. The Triple Helix model envisions such cooperation of its three main participants that creates a synergy of their operation and result. TUSUR University was the first university in Russia to join the activities of the Triple Helix Association from its founding in 2009. 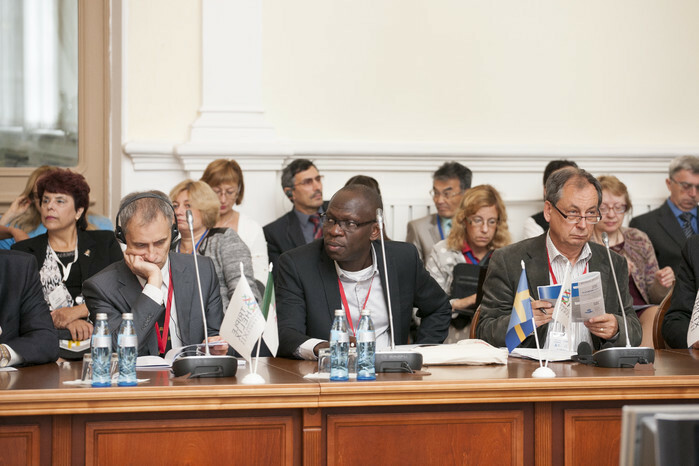 In 2012 the first Russian Chapter of the THA opened at TUSUR, and in 2014 it held the International Triple Helix Conference. The core scientific achievements of TUSUR in innovations are the direct result of the Triple Helix model in use. Its dedication to the principles of innovation-driven growth has helped TUSUR University to significantly improve its positions in a number of national and international university rankings, and has become one of the national leaders in economy modernization through scientific achievements in nanoelectronics, radio engineering and information/telecommunications systems, intelligent power electronics, innovation management and robotics.